Do you know what I do every independence day? Come on! Guess it! I watch TV! This isn’t a joke. It makes me proudly appreciate the freedom of speech and expression because of which we are able to see what’s happening in Denmark sitting at home in Delhi. The Tamil channels have very good debates or ‘pattimandram’ on Independence Day. I saw a very interesting one which not only made me laugh, but also made me think. The discussion was: What is most important for the development of India- money, political intelligence or force?’ The speakers shared so much knowledge that even the greatest scholars of the world cannot put together in the time given. Such is the talent of the Indian youths. It makes us think: why is the nation that created great minds like Mahatma Gandhi, Dr.A.P.J.Abdul Kalam still lagging behind in the world? Exactly 66 years before today was hoisted the first tricolour of independent India. 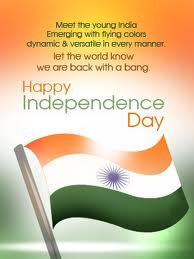 On this very day was sung the divine anthem, which wasn’t just the song of freedom, but also the spirit of freedom. This is the day our people breathed the first breath of freedom after years of struggle, struggle for being free from foreigners, in our own country,. Those were days when Indians couldn’t walk on equal platforms with foreigners, within the Indian boundaries. Today, India has given equal rights to all her residents, whether they’re Hindus or Muslims or Sikhs or Buddhists. Today, we’ve freedom of speech and expression, freedom for life and freedom for hope. Today, beyond all differences, we, the citizens of India, know and value our identities as Indians. 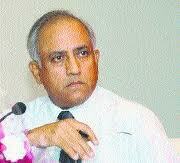 Rakesh Sharma, during his expedition to the moon, spoke to Indira Gandhi, the then Prime minister of India. When questioned what India looked like from the space, he answered ‘Saare Jahaan se achcha. Hindusthan hamara!’ Another such great soul was also created on this divine day. We cherish the birth anniversary of Shri.Arobindo, the precious jewel of Bengal, on this day. This isn’t just a co-incidence according to me. It is, I believe, the vibration of this auspicious day, that this day has presented us with so much wellness. We Indians must be proud to celebrate such a great day. We must do something special, something worthwhile for the country on this day. The size of our contribution doesn’t matter. We must do something good, something that would make us feel the patriotism in us, that would bring out the Indian spirit in us. We must salute to our nation, the great leaders who fought for our freedom on those days and the soldiers who are fighting, for our security, today.